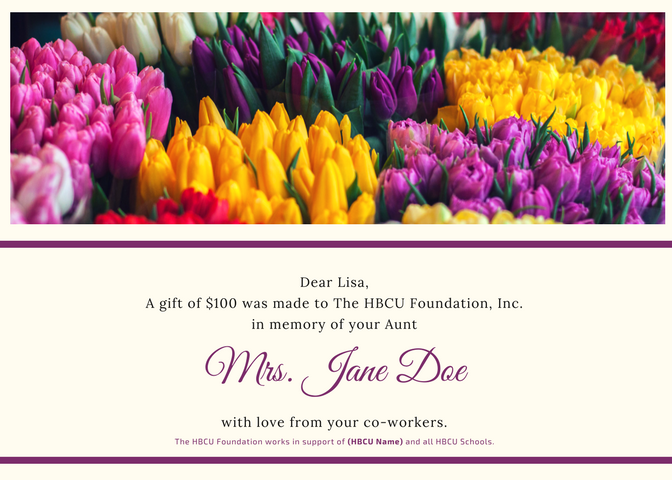 Make a Gift In Honor, or In Memory of an Individual | The HBCU Foundation, Inc. 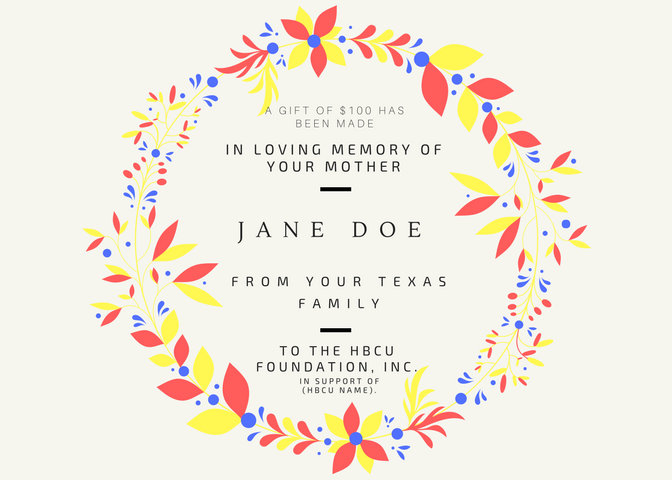 In lieu of flowers, you can give a gift in honor, or memory of someone. 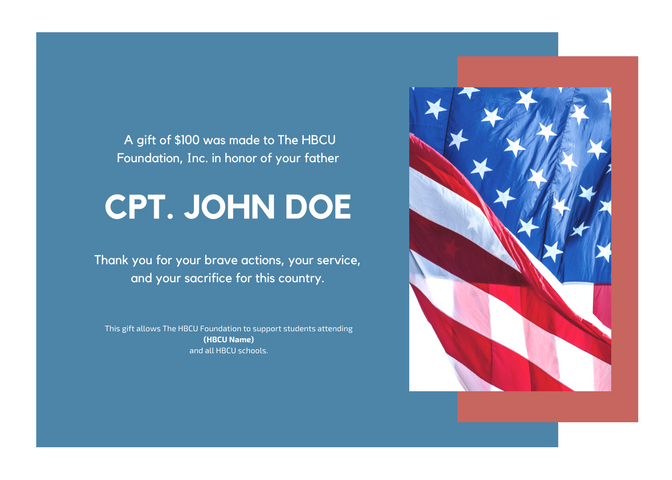 With your gift, a digital postcard will be sent to an individual of your choice to let them know of your special donation. 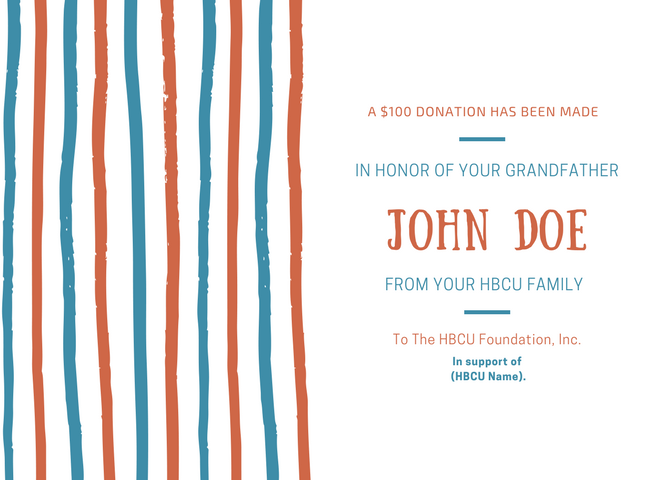 To make your gift, simply complete the form below, being careful to complete each field accurately. including proper spelling of names, emails and personal messages. If you prefer to make your special gift by check, CLICK HERE and carefully follow the instructions.